KAYSER two pack and three pack Premium quality bras are our best sellers at every level of distribution. 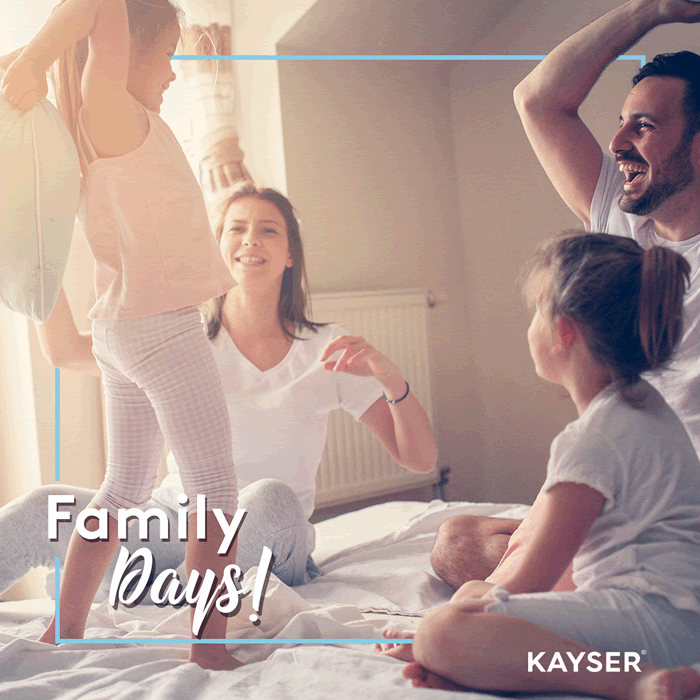 KAYSER designs are created in harmony for the entire family. KAYSER designs current fashion trends using the newest technologies in moisture wicking, anti bacterial, soft cotton, bamboo, microfiber fabrics for men, women and children. Our marketing is second to none. We provide the distributor with all the tools to be successful. Your success is our success. The simple requirements to become an exclusive partner in your country are listed below. KAYSER has been serving families and communities since 1880! KAYSER designs, manufactures and distributes intimates, underwear, hosiery and sleepwear. KAYSER quality is outstanding, with affordable price points and worldwide distribution. 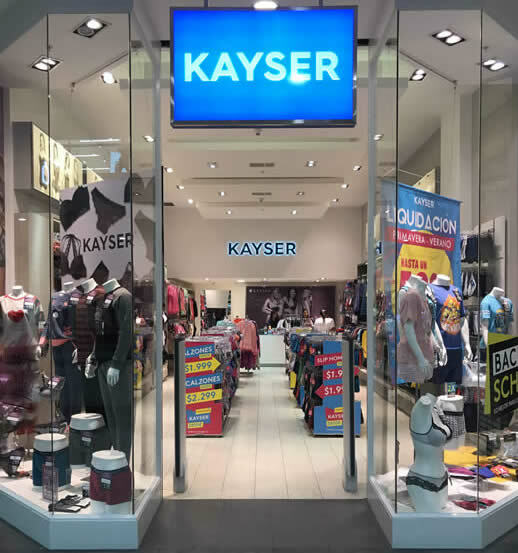 KAYSER owns and operates 130 boutiques in Chile and Peru with distribution in department stores, supermarkets, and wholesale to other intimate boutiques. We are offering the business opportunity of a lifetime to people and companies who wish to partner with KAYSER exclusively in many countries. Our mindset is to treat our partners better than anyone can and find the way to truly serve you. Thank you for your interest in becoming an exclusive distribution partner. Designed for the entire family. Our Lounge Wear collections are fun, outstanding quality and perfect for weekends at home, vacations, and quiet evenings after a hard day at the office. KAYSER implements the latest fashion appliques, embroideries, sublimations, silk screens, on original prints. Our design team in Santiago, Chile are inspired everyday by the surrounding Andes Mountains and the Chilean Culture. Our mission at KAYSER is to treat people better than anyone can. Our integrity to take a stand on a global scale to make a difference in middle to low income earning families is the reflection of how we respect our partners, employees and consumers. From the ground up, KAYSER is integrity and quality first. 1- In order to use and commercialize the KAYSER Brand, our products will be sold only in formal markets (i.e. boutiques, stores, department stores, online, catalog etc.). They cannot be sold on any kind of street markets. 2- We grant the rights to use Kayser brand for 5 years. This rights can be renewed. 3 -All prices will be FOB China invoiced Hong Kong. 4- All purchases will be done at our factories. There will not be any local product development. For all non-underwear products you commercialize as our brand (under KAYSER authorization,) you must pay a 6% Licensing Fee of the purchasing FOB cost to KAYSER. 5- KAYSER will supply all marketing and visual materials (designs to be printed locally). Including store designs, floor plans, hanger and shopping bag artwork. 6- Payment conditions are either LC 60 days or TT delivery 50% at order emission, the rest upon B/L. 7- There will be no product returns. For any flawed garment you may receive, KAYSER will respond with a credit memo applied to the next order. 8- Final retail price at your KAYSER boutiques and online store will be set by you. We recommend 4 times the landed duty paid cost. 9- KAYSER does not charge any kind of upfront fee or royalties to our clients for the use of our brand. 10- KAYSER will grant a 3% discount on the FOB purchase for marketing. If you agree to these conditions the next step will be an invitation to visit Santiago, Chile. You will meet the owners. You will tour the boutiques, department stores and corporate headquarters. This is a three day visit. You should plan your visit to arrive on Sunday in Santiago, Chile. This will be a rest day. On Monday you will visit mall stores, mass market stores and department stores to understand the distribution and sales opportunities that are ahead. You will be invited to lunch. On Tuesday you will visit corporate officers and distribution design center. You will tour the 220,000 square foot facility. You will be invited to lunch with the executive management team. After lunch there will be a training class with the design team to show you the product line. On Wednesday there will be an executive meeting to discuss the business, policies and come to an agreement to become the exclusive representative, agent, distributor, partner in your country. KAYSER will invite you and offer you the Hotel and transportation in Chile. The Distributor Agent is responsible for his plane ticket to Chile. If you agree to these conditions the next step will be to take massive action. Life will never be the same again once you visit Santiago, Chile. Please ask any questions you may have, not asking means, you will never know the answer. If you have friends or family that wish to create a better life in a fantastic commodity business, we will teach, train and guide them better than anyone else can. This is truly an outstanding opportunity for the right business people looking for something to be passionate about. We truly serve the communities we are in in a way no others can. Business gives us a way to connect and truly treat people better than anyone can. Our mindset at KAYSER is to truly serve our families, employees, partners, and consumers with kindness and love more than anyone else can. Call Sherwin "Ace" Ross @213/ 884 8448 today. "Time breaks deals."